The Fair Labor Standards Act (FLSA) governs many employment issues, including minimum wages and overtime pay. As a federal act, the FLSA applies equally in every U.S. state. Employees across the United States enjoy employment protection under the FLSA. But there are limitations in place. The FLSA does not apply to every employer or employee. Companies with at least $500,000 in annual revenue. In 2018, the FLSA requires covered employers to pay their employees no less than $7.25 per hour. Concerning employees under the age of 20, however, the youth minimum wage is $4.25 per hour. Though this rate only applies for the first 90 consecutive days of employment. Additionally, there is a special provision for tipped employees, such as bartenders, wait staff and valets at a restaurant. If the employee makes more than $30 per month in tips on a regular basis, then there is a different minimum wage. Assuming the employer and employee meet all FLSA requirements, the minimum wage for tipped employees is $2.13 per hour. Nevertheless, certain employees do not qualify for overtime pay under the FLSA. These employees are referred to as exempt. Employees exempt from FLSA minimum wages include executive and professional employees, newspaper deliverers, casual babysitters and certain seasonal workers. The FLSA does not regulate the amount of time worked in a day. Similarly, the FLSA does not regulate the number of days worked in a week. But the FLSA does require overtime pay for any time worked in excess of 40 hours per week. Covered employers must pay their employees no less than 150 percent of their regular pay for overtime work. That being said, certain employees are exempt from the FLSA requirements for overtime pay. These exempt employees include railroad workers, taxi drivers, farmworkers and certain commissioned employees. 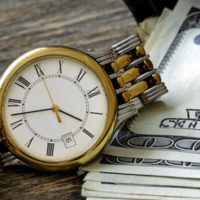 If you have a claim for unpaid overtime in Virginia, it can be exceedingly worthwhile to reach out to an accomplished employment attorney. The attorneys at Simms Showers LLP have proven capabilities in labor and employment law, including unpaid overtime. If you need legal help with labor and employment law, contact us today for an initial consultation.